It is that time of year again. Old man winter has finally decided to make his annual retreat leaving us with warm days and warmer thoughts. This month w shake off the sweatshirt and trade it in for a bathing suit. Before you put the hot coffee down and run out for a cold beer there’s a couple things you should double check. The thing that may take the spring out of your step the quickest, is a sprained ankle. May is NADRA’s (North American Deck and Railing Association) “deck safety month” for good reason. This is the time of year we really start to use our decks often. Based on data from the Consumer Product Safety Commission, more than 6,000 people are injured each year in incidents involving the structural failure or collapse of a deck or porch. The worst part of these accidents isn’t that they ruin a spring and summer but more that they are preventable with a little bit of forethought and diligence. You are going to want to make sure that everything is sturdy instead of appearing sturdy. One of the most common failure points is the ledger. Here’s a couple things to look for on a ledger. This entry was posted in Deck Fasteners, Deck Safety, Decking and tagged Bolt, deck, deck safety, Decking, Fastener, Fasteners, hardwood, Lag, Safety Month on May 25, 2017 by Mr. Ipe Hardwood. Hardwood vs. Softwood: What’s the difference? Would you be surprised if I told you that the difference between hardwood and softwood has nothing to do with the hardness of the wood? It seems like a complete misnomer, but let me explain. This entry was posted in Domestic Hardwood, Wood and tagged hardwood, hardwood vs softwood, softwood on July 7, 2015 by Mr. Ipe Hardwood. Ipe isn’t just for decking anymore. This versatile wood is perfect for a variety of outdoor projects because of its durability. Its strength and dimensional stability can make it a little harder to work with than other woods, but with a lifespan of 75 years, it’ll be worth it to put the little extra elbow grease into your project. Today we’re going to show you how to build a fence out of Ipe. 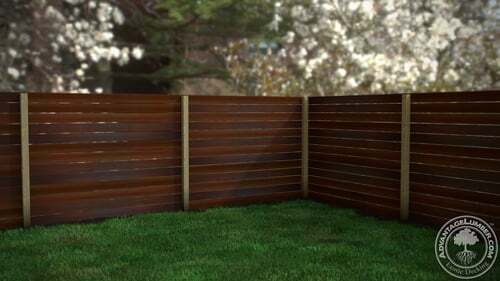 Not only will this give you added privacy, but it will look fantastic in your yard! This entry was posted in Uncategorized and tagged diy, hardwood, how to, ipe, Ipe Decking, ipe fence, ipe hardwood on July 25, 2014 by Mr. Ipe Hardwood. 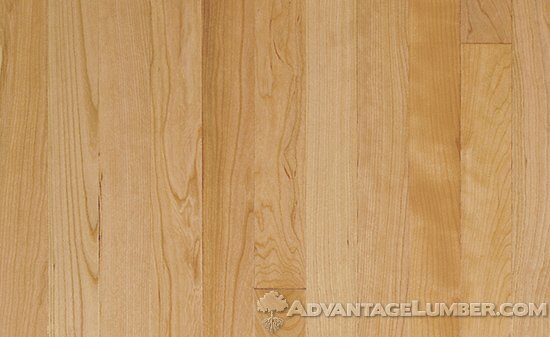 Birch wood flooring from AdvantageLumber.com is solid, reliable & attractive. Whether you are building a new home or transforming your current residence, you want your place to have style. From knickknacks to photographs you want to grace your space with a personal touch, all while having one thing tie everything together. Flooring can be your path to the latest trends or classic looks that will last a lifetime without losing you. Choosing a beautiful hardwood will make any space look phenomenal. Impressing your family and friends will be easy with Birch hardwood floors beneath your feet. With handsome benefits and perks, this is one deal you wont be able to pass up! If visual appeal is what you want, then Birch flooring is what you need! With a color variation scale that ranges from light to dark, along with natural highlights, a Birch floor can fit into any space you desire. There are multiple options within the species. The Birch family boasts several varieties for you to choose from. While Birch hardwood isn’t as common as other hardwoods on the market, it isn’t impossible to locate. Each species has their own attributes, but they all share their strength and durability. If you and your family live an active lifestyle, Birch flooring will live along with you. Don’t settle for anything less than strong and beautiful when it comes to your home. If you don’t want to just “Keep up with the Jones'”, but be “the Jones’,” then choosing Birch hardwood flooring will give you the one up. This style offers a uniquely attractive appearance to any room. Birch will give you that elegant edge you have been searching for. Making the effort to look at all aspects of what you are going to install will go a long way. Do not take chances on something that will affect your everyday life. Choosing to go with Birch hardwood floors will create a beautiful atmosphere that you can show off. This entry was posted in Hardwood Flooring and tagged birch, flooring, hardwood on December 27, 2011 by Mr. Ipe Hardwood. Hardwood flooring is not hard to come by theses days. However you do not want just any hardwood in your home. Choose something that fits you and your lifestyle. Tempt others into your home with the outstanding glamor of your floor. Mysterious beauty is so captivating that it is no wonder that those who long for this have lusted over Birdseye Maple hardwood flooring for their space. Multiple theories have been developed as to why the “birds’ eye” forms in the maple, but none have been scientifically confirmed. This makes this flooring type rare and sought after by many. Wouldn’t it be stunning to have something that has been auctioned off for thousands of dollars right beneath your feet? Artists, craftsmen, and woodworkers use Birdseye Maple for pool cues, exquisite jewelry boxes, musical instruments, and furniture. Installing this hardwood in your space will not be a mistake. Something as perfect as Birdseye Maple must be hard to maintain and be fragile, right? Wrong! This wood is ideal for high traffic areas because of its strength. It is extremely durable and resistant to wear and tear, denting, scratching and splintering. Compared to other floor choices on the market, Birdseye Maple is not a hub for pestering allergens and is quite simple to maintain. It can be costly, but it will be an investment that will increase the value of your home across the board. Of course when looking at floor choices you will come across options other than hardwood. A versatile “look a like” you may see is linoleum. Linoleum comes in a variety of colors, is relatively inexpensive to buy, and requires little maintenance. So if you can get something that looks similar to wood at a cheaper value, why wouldn’t you? You do not want to forgo a luxurious look for one that has been considered tacky. Linoleum has been found to have a yellowish discoloration after cleaning and emits an odor similar to a fresh coat of paint. Make sure you take a close look at anything you are considering; you do not want to overlook important features. Flooring in any space will be a lifetime investment. By looking at all your choices and divulging deeper into their positive and negative qualities, you will be able to find the best fit for you. Enjoy the intriguing look of Birdseye Maple in your home. Beauty and mystery, you can have it all with this hardwood in your space. This entry was posted in Hardwood Flooring and tagged birdseye, flooring, hardwood, maple on August 5, 2011 by Mr. Ipe Hardwood. We have Persimmon wood in stock. Call to order this great instrument making wood. Persimmon wood is taken from the Diospyros Virginiana tree and is found throughout North America. It is actually the northern most member of the ebony family. The persimmon tree can reach heights of 80 to 120 feet, with trunk diameters of 18 to 24 inches. Persimmon typically has very wide sapwood, with a very small, narrow core of heartwood. Its sapwood is white to creamy-white and sometimes marked with dark spots turning grayish-brown when exposed to air. Its heartwood is brown, black, or variegated, and brown to orange brown streaks can sometimes be present. 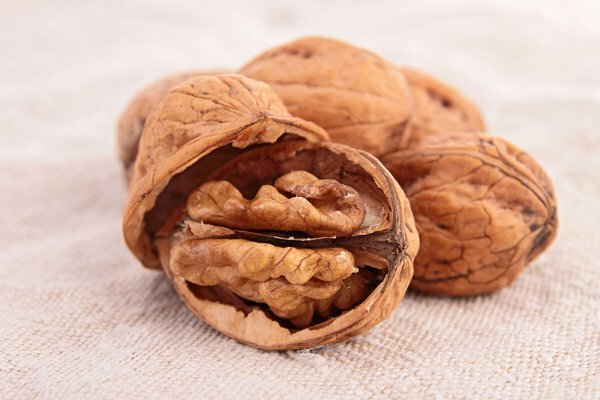 Its grain pattern is usually close and straight, with a fine and even texture. And as for figuring, the wood has very little. With a Janka hardness of 2300, Persimmon lumber is extremely hard, dense, elastic, tough, and resistant to wear. It is a very durable wood that has high crushing and bending strengths with medium stiffness. In fact, persimmon is able to be bent to a moderate radius. It also has high shock resistance, good nail holding properties, and works well with sharp hand tools. The small sturdy heartwood is also highly resistant to decay and insect attack is rare. Persimmon is a great wood to use for musical instruments, drum sticks, striking-tool handles, spools, turnery, domestic flooring, furniture, textile shuttles, and bobbins. Its ability to retain a smooth surface, even after hard usage, makes it a great choice for so many projects. At one time, persimmon was considered the traditional wood for golf club heads because of its elasticity. Wood golf club heads actually require a process of drying to ensure a strong and resilient product. Read about The Louisville Golf Club Company’s experience with drying persimmon wood. Go to our website and learn more about Persimmon wood. We also have Persimmon lumber available at our online store. This entry was posted in Hardwood Lumber 101 and tagged hardwood, lumber, persimmon, wood on April 1, 2011 by Mr. Ipe Hardwood. Hard Maple is a tried and true hardwood of choice for many woodworkers. Hard maple sapwood is nearly white and its heartwood is a uniform, delicate, very light reddish-brown or very light tan. It has a fine, even texture. It is very strong and hard, with close straight grains. Hard maple can sometimes be wavy or curly, which produces special figures such as ‘Bird’s Eye Maple’ and ‘Curly Hard Maple.’ The figuring in Bird’s Eye has brownish dots on a whitish background. With a Janka hardness of 1450, hard maple is ranked as one of the more valuable hardwoods because of its strength and stiffness. It has great wood working properties and is used for a variety of different projects. Hard maple has good crushing strength and bending properties, and very good steam bending qualities. It has above average fire resistance and glue adheres satisfactorily. It takes stain well and gives an excellent result with paint or enamel, and finishes smoothly. Hard maple is well suited for furniture, interior trim, turnery, paneling, cabinetry, veneer, tool handles, woodenware, musical instruments, and bowling pins. It is popularly used for heavy duty flooring, and is used for dance floors, bowling alleys, and skating rinks. Figured grain hard maple is used for decorative cabinetry. Check out how important hard maple wood has been in the sports industry. It was used in 1891 for the very first basketball court and is still used today for sports flooring! 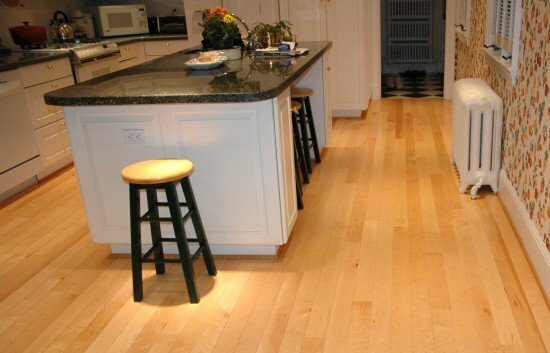 When it comes to a great domestic wood, maple has the qualities you look for in lumber, including the range of figuring present in the different species. Go to our website for additional information on Hard Maple and Curly Hard Maple wood. There you can also find Hard Maple, Curly Hard Maple, and Bird’s Eye Maple lumber. We also offer Maple thinwood and Bird’s Eye Maple thinwood. This entry was posted in Hardwood Lumber 101 and tagged birds eye maple, curly hard maple, hard maple, hardwood, lumber, maple, wood on March 17, 2011 by Mr. Ipe Hardwood.